Made for my 9 year old niece Willow, this knit top from an Ottobre Design pattern (03/08, #37) features a Cotton/Lycra print fabric with a curved inset of stretch lace. This outfit for my 7 year old niece Bella features a fun style from Ottobre Design (01/08, #14). 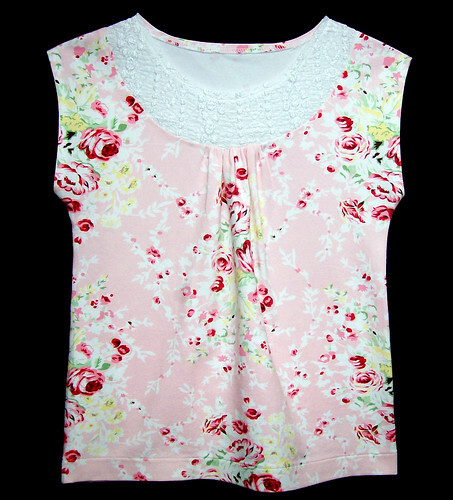 The top is made with knit fabric and accented with beads and applique. 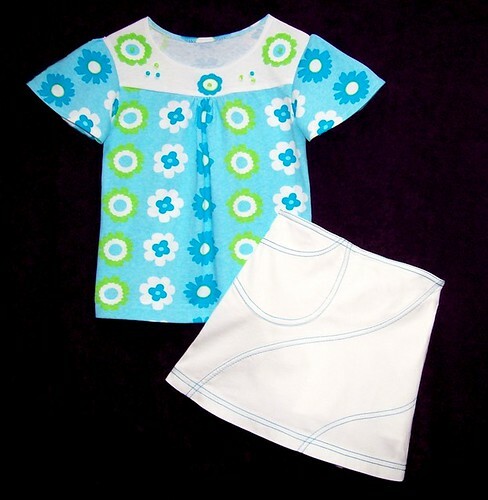 The white "skort" of my own design is made from stretch cotton sateen and features decorative topstitched seams.